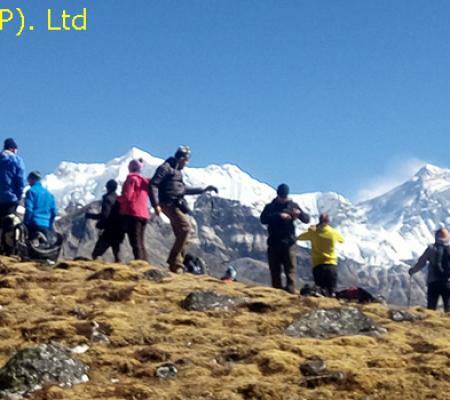 Three Pass Trek is one of the famous and most thrilling adventurous treks in Everest region of Nepal, which offers us amazing sceneries of entire snow-capped peaks. We will cross over 5000m altitude, they are Chola-La (5420m), Renjo La (5446m) and Kongma La (5535m). 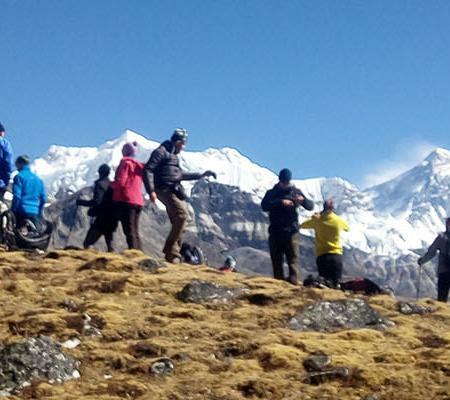 On the apex of the Three Pass Trek of Everest region let you admire the amazing scenery and magnificent views. During the pleasant trail you will get chances to have a striking close view of four famous mountains; Mt. 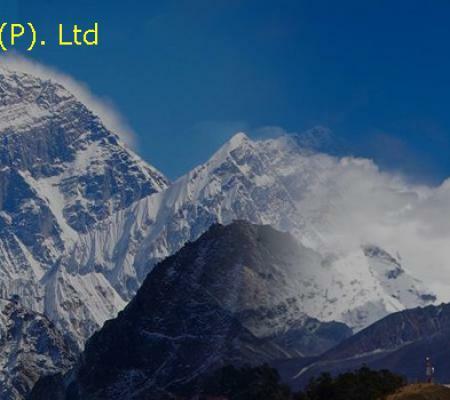 Everest (8848m), Cho-yu (8201m), Makalu (8463m) and Lhotse (8516m) which are over eight thousand altitudes. This trekking is one of the great opportunities for those, who are crazy adventure lovers and can enjoy the beauty of the region. 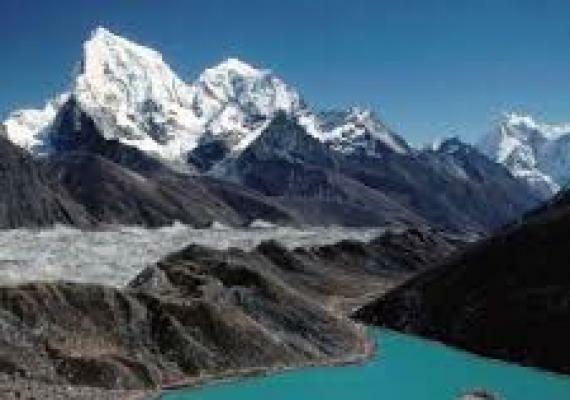 Three Pass Trek provides an opportunity to visit seven superb destinations over 5000 meters, they are Everest Base Camp, Renjo La, Chola, Kongmala, Chukung Ri, Gokyo Ri, and Kalapathar. The popular and stunning views of Everest Base camp, Renjo pass, Gokyo Ri, Gokyo Lakes, Kalapatthar, Namche Bazaar and so on throughout the trail makes your trekking one of the sweet memory in your life. Not only that it is also great opportunity to learn and acknowledge the legendary Sherpa culture and their lifestyle. The route through Three pass trek also let you witness isolated and undamaged Nangpa La Valley, the beautiful Sherpa village of Marlung and the ancient monastery village of Thame. This adventurous trek of three pass trek begins with an exciting flight to Lukla from Kathmandu. From Lukla, we will officially start our trail to Everest Base Camp. During the trail, you will stay at Namche Bazaar for acclimation and complete your trail by coming down to Lukla via Thyangboche monastery by making a big circle to complete the three passes. As you arrive at Tribhuvan International Airport, our representative will greet you and drop you at your hotel. 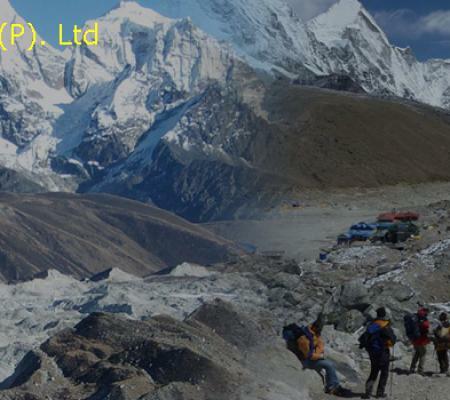 In the evening, our representative will provide you with a brief explanation of the Three Pass Trek. You will stay overnight at hotel. Next morning, after early breakfast we will take a domestic flight to Lukla. Around thirty-five minutes of scenic flight lets, you have a picturesque aerial mountains views and take you to the beautiful Lukla. As you reach to Lukla you will explore a Lukla and you can officially begin your trail towards Bhaise Kharka. It is few up-downs to get into Phakding going through a lot of prayer Rocks. As you will reach Pakhding, you can be fresh yourself and, in the evening, you can explore the Village and stay overnight at Pakhding. Today, after early the breakfast, we will head toward Namche Bazaar. The trail passes through a charming pine forest, along the Dudh Koshi River you will cross frequent suspension bridges and make a gentle trail to the Monjo and Jorsole. Further trail lets you enter Sagarmatha National Park. After showing entry pass you will get chances to view shining Mt. Thamserku (6618m). And cross another suspension bridge and proceed forward to the Tenzing-Hillary suspension bridge. In the meantime you will have an extraordinary view of Mt. Everest, Mt. Lhotse, Mt. Kusum Khangru. 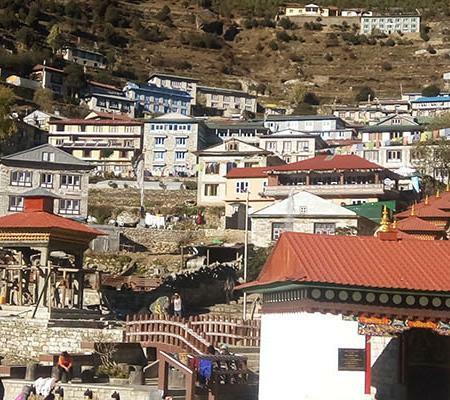 Around three hours of walking through the pine forest take you to the beautiful village of Namche Bazaar. Overnight at Namche Bazaar. Today it’s a scheduled acclimatization day of the trek. Due to intense mountain sickness, you will stay as a rest day in Namche Bazaar and explore the Namche Bazaar. Today you will visit Museum, visit Khumjung town and Kongde town. You can appreciate the stunning view of Mt. 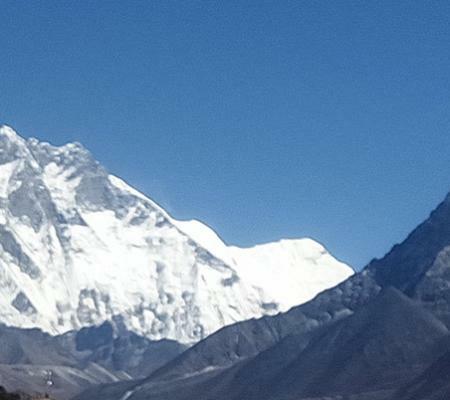 Everest and its surrounding tops along with Sherpa’s unique culture and tradition. Namche Bazaar has ATM’s, Restaurant, bakery and colorful market. We start after our breakfast and prepare to head to Tame. The route brings us to left of Namche, it will bring us up with amazing views of the Bhote Khosi that runs like a snake below us. The views are absolute amazing from up here. Great mountains such as the Komde, Sundar Peak and the Kongderi. After the path brings up we will reach a flat part with small ups and downs. This trail leads all the way through green pine forests. This forest is filled with amazing wildlife and we get many chances to see the gorgeous Daphne bird. After the forest we reach our first settlement of Thame where we can take a short break. Now we will cross the Bhote Khosi using the suspension bridge, now the trail leads us for about 30 minutes upwards till Tame Village for our overnight stay. We start todays beautiful trek with a gentle hike across the moraine along an old trading route that leads to Tibet. Following this trail the path will ascent up until Lumde, our overnight destination of the day. We start today with an early breakfast and preparation to ascend our first pass, the Renjo La. The trail ascends higher and higher bringing us direct to the Renjo La. We will move slowly so we do not tire ourselves, but once we reach the pass the glittering Gokyo Lake awaits us. Along with the giants Everest, Lhotse, Cholatse and the Ngozummpa Glacier the view can’t get any better than this. We head downwards for about 3 hours and reach Gokyo our overnight destination. Climb tough at the edge of Dudhkoshi river bank is Gokyo Ri. One of the routes leading to Everest Basecamp, numerous trekkers picked Gokyo trail to explore the region of Himalayas. It is dominatingly Buddhist region and one of the most amazing settlements in the world. You will observe mountain peaks including Everest and its neighboring mountains. In the afternoon we head for Dragnak, a trail leads us through the Ngozummpa glacier and leads us to Dragnak. Overnight stay at Dragnak. Today is going to be the toughest day of the trek. The trail is upright and the rocks glazed by ice may make the trail slippery. The trail from Phedi ascends through a ravine and a rocky trail. After a strenuous climb, we reach the top of the Cho-La Pass draped with prayer flags. We can view amazing panorama views of the Ama Dablam with a height over 6000 meters, the Cholatse (6335m), and the Lobuche East (6119m). We need to cross through some splits before we reach Dzongla village. Overnight in Dzongla. We first descend to Dzongla passing a couple of lakes and then ascend on the moraines alongside the Khumbu Glacier towards Lobuche. We continue on a challenging trail, waking on the rocky, icy and slippery ridge of the Lobuche Glacier and the Khumbu Glacier to reach Gorakshep. In Gorakshep we can see clear views of the Everest before we call it a night. Overnight in Gorakshep. Today, early morning, we will make an epic climb to Kalapathar which is situated at the altitude of 5,545m and it is a point from where we will view sensational Himalayan vistas all around. The trail is not so easy enough even though the view from the top surpasses the wildest imagination. Kalapatthar offers you authentic and magnificent views of Himalayas. After viewing breathtaking Himalayan, we will trek down to Lobuche. Overnight at Lobuche. Today we leave early to head for our last Pass the Kongma La Pass. The most part of the trek will ascending and along descend to Chhukung. At the Pass we have amazing views of the Pumori and the Nupse Himal. During our descend we pass the italian high- altitude research pyramid. Another ascending bypass bringing us to the valley and a path that leads us to chhukung our overnight destination. Today, after early breakfast, we will trek from Chukkung to Dingboche, around four hours of an awesome mountain climb. We will have a pleasant walk through the stone walled fields and alpine landscapes. 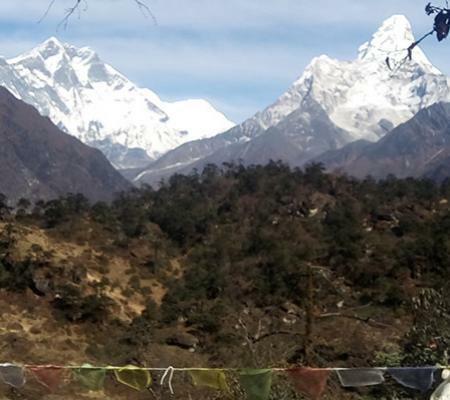 While walking through the valley, Lhotse towers will be to our right side and Ama Dablam to our left side. Somepoint during our trail we reach yak herdsman’s place called Bibre. While walking we can see summer huts made especially for storing livestock in the summer. Overnight at Dingboche. Tengboche, home to the Tengboche monastery a refuge to some a paradise to others. We start after breakfast and head downwards towards Dingboche. 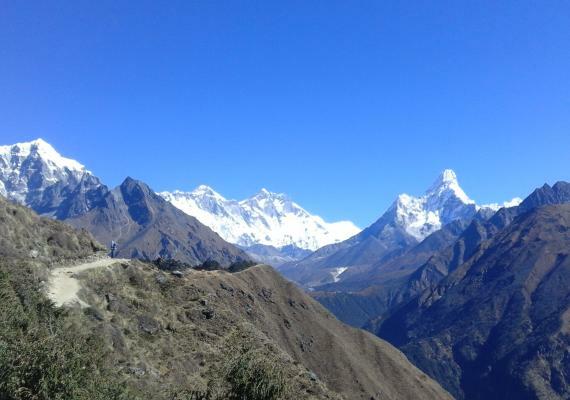 The trail is pleasant and gives us some last great views of the mighty Solokumba Himalayas. After reaching Tengboche we can take a rest and visit the ancient serene Monastary. Overnight at Tengboche. Today, our trail drops down to the Dudh Koshi River and cross the suspension bridge. Our trail passes through Phunki Thenka and reaches to Kyanjuma. TheTrail rises up to Sanasa from where we reach Namche Bazaar. Overnight at Namche Bazaar. After Breakfast, we trek down and cross the Dudh Koshi River. This is the beginning of the most beautiful and wonderful trekking experience. From there, we trek towards Phakding from the riverside. This finally leads you back to Lukla. Around 30-minute flight back to Kathmandu from Lukla. Our tour guide will transfer you to your hotel. Free time to explore Kathmandu. A leisure day in Kathmandu which can be used for exploring. You can visit holy temples like Pashupatinath, Swyambhunath and many more. Our airport representative will check your flight tickets and transfer you to the airport before two hours before your flight.